The Western Mule M2000 crane features a 2,000-pound maximum lifting capacity with a 12-position telescoping boom that extends up to 6 feet. 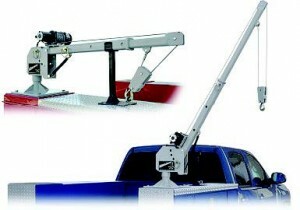 The gas-spring lift-assisted boom makes setup effortless. This crane is ideal for outfitting fleet utility vehicles, large and small, to help your crew lift those cumbersome loads.